Puerto Rico did not have an official building but in the Palace of Agriculture, not far from the main entrance, was found the Puerto (spelled Porto back then) Rico section. Built by native architect, Armando Morales, and cost 5,000 dollars, it was in the nature of a pagoda of two floors. The lower one was dedicated to agriculture, mines, forestry, and a few of the manufactures exhibits. On the second floor were the liberal arts and manufactures exhibits and the offices of the commission; also the needlework display, which was collected and exhibited by the Women's Aid Society, San Juan, and the Benevolent Society, Ponce. Rubber, coffee, dye woods and tropical fruits were also shown in a variety of palaces. The island received the highest awards in straw hats, needlework, rice, beans, cotton, and pharmaceutical products. Puerto Rico also has a small display in the US Government Building. 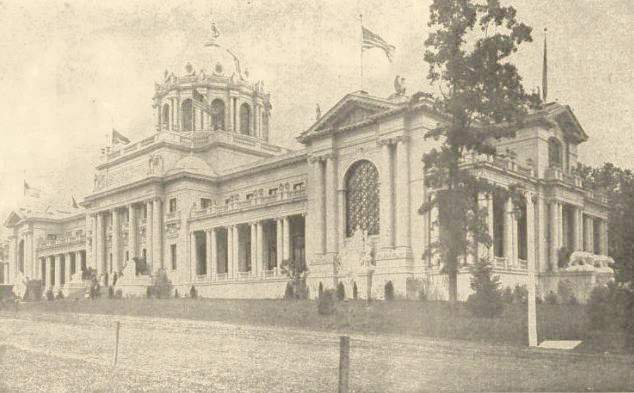 The Puerto Rican (spelled Porto Rico) Pavilion inside the Palace of Agriculture.